The detained people in Negad refugees camp in Djibouti (the majority of them are from Eritrea) wrote this appeal to Africa ExPress. The people detained in the camp (120 refugees) escaped from one of the most terrible and authoritarian regime in the world, described by many organizations as an hell. This message that we publish is coming from inside the prison and has been sent to us under very difficult and eventful means. The people who sent us this story asked us to share widely. 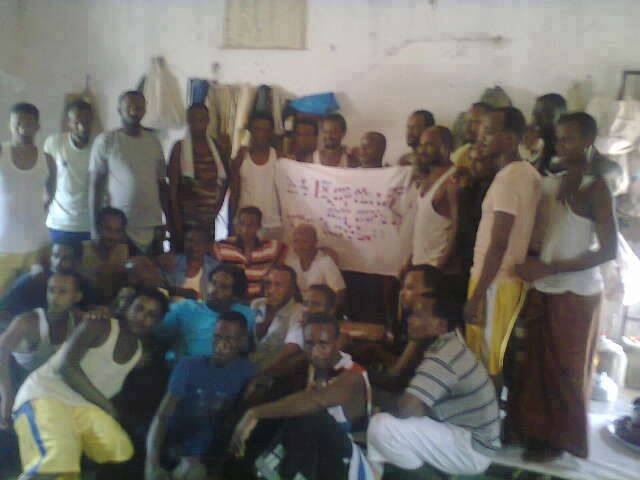 After been incarcerated for more than 6 (six) years in an entrenched, inaccessible prison in Negad detention centre in Djibouti, we have started to demonstrate our suppressions, frustration and insatisfaction by indulging ourselves into hunger strike, starting from Friday the 17th of January, 2014. 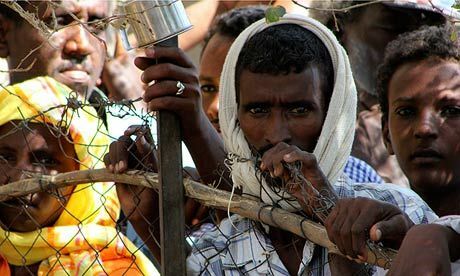 After being victims by the hands of the totalitarian Eritrean hegemony for many years and after witnessing the injustices and harms inflicted on the population of Eritrea as a whole, these refugees have fled to the Djiboutian soil in search of freedom and justice risking their lives through precarious situations. On the contrary, what has been awaiting them here, in Djibouti, is the same injustice that more or less amounts to the infringement and deprivation that has been done by the Eritrean authoritarian government led by a pernicious despot. Now nine of our detained colleagues here had been divided by their wives. We don’t know where these women are now. What is the legal justification that can be presented to the cause that has amounted to our incarceration? Where are the basic human rights that are enshrined in the human rights convention that the Djiboutian government had signed upon? Where is the international community, especially those governments, organizations, proponents and advocates who stand up for protection of human rights? We are here to extricate ourselves from dictatorship in search of freedom, not to experience the same misfortune that had been imposed on our beings. Therefore our requests are met within a reasonable period of time, we are standing relentlessly and firm on continuing our hunger strike what ever lives if may claim. We want freedom. Freedom for all!